An appendectomy can be performed in several different ways. Old fashioned "open" surgery is now becoming less common than minimally invasive methods such as laparoscopic surgery and robotic surgery. 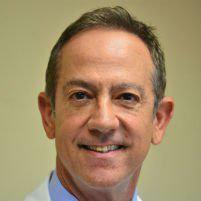 Dr. Moses Fallas is a general surgeon in Beverly Hills who performs appendectomies for patients in the West Los Angeles area. An appendectomy is a surgical procedure to remove the appendix from the body. An appendectomy is the most common treatment for appendicitis. Appendicitis may happen for several reasons, but infection is the most common cause. It can happen in people of any age, although it is most common in people between 10 and 30 years of age. The majority of cases happen in children and adolescents. The appendix is a very small pouch that is next to the colon. If it becomes infected, appendicitis can be the result. The infection may be caused by trapped stool or by another infection elsewhere in the body. How Does an Appendectomy Work? During an appendectomy, the surgeon will remove the appendix surgically and will then close the hole where it was attached to the colon. During an appendectomy under general anesthesia, a patient will typically be asleep and unaware of the surgery. Some appendectomy surgeries are done under spinal anesthesia, as well. In this type of anesthesia, the patient will be either awake or dozing lightly but will feel no pain. In an "open" appendectomy, the incisions will range from two to four inches in length. The appendix is removed and the stitches are then placed to keep the incisions closed. With laparoscopic surgery, there are more incisions, but the incisions are much smaller and less invasive. Recovery from laparoscopic surgery is generally faster and easier as well. What Happens If Appendicitis Is Not Treated? If appendicitis is not treated, the appendix will continue to swell and bacteria will accumulate even more severely on the wall of the appendix. At that point, the appendix may become filled with pus. This causes stomach pain that can become very severe, very quickly. If an appendectomy is not performed quickly, the appendix could burst and spread infection throughout the body.